January is a strange old month. It’s cold and grey and we all begin to crave the early signs of spring and longer lighter, brighter days. It also always turns my thoughts to what the new year will bring and there are inevitably new challenges in store. There is excitement in considering the projects I might embark on. How many of those tiny green shoots of an idea will grow and develop and come to fruition? I’m also thrilled to be able to do some familiar things. I’m looking forward to another chance to exhibit my work at Obsidian Art again in June 2015 as part of Bucks Open studios. Work has already begun in preparation and it’s exciting to be getting my teeth into some new work with this show in mind. Last year saw my first real attempts to depict wildlife in my work. It was a challenge that proved tricky but very rewarding and I hope to be able to do more this year so watch this space! I’m still working on ideas and planning for the year ahead but one thing I need to prioritise is my website and I hope to be able to do more blogposts and show more work in progress. So I look forward to what 2015 has in store and hope to be able to share more of it with you and keep you up to date with what I’m up to and where you can see my work. I love your work. 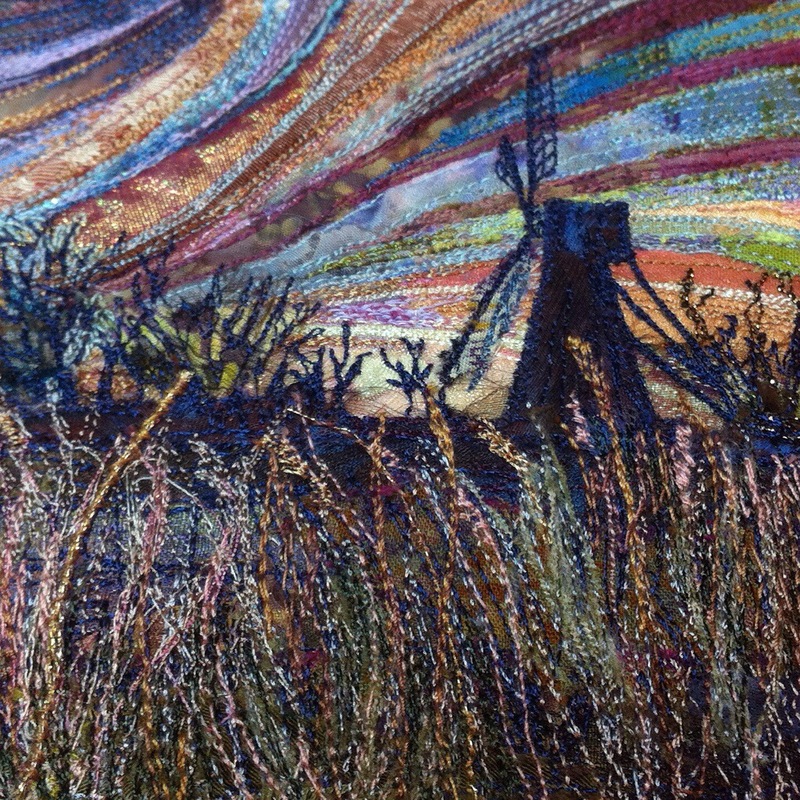 I also am a landscape art quilter it is my passion, something I have to do. Your works of art are such a pleasure to look at, so relaxing.